← Aspiration – what’s that all about? 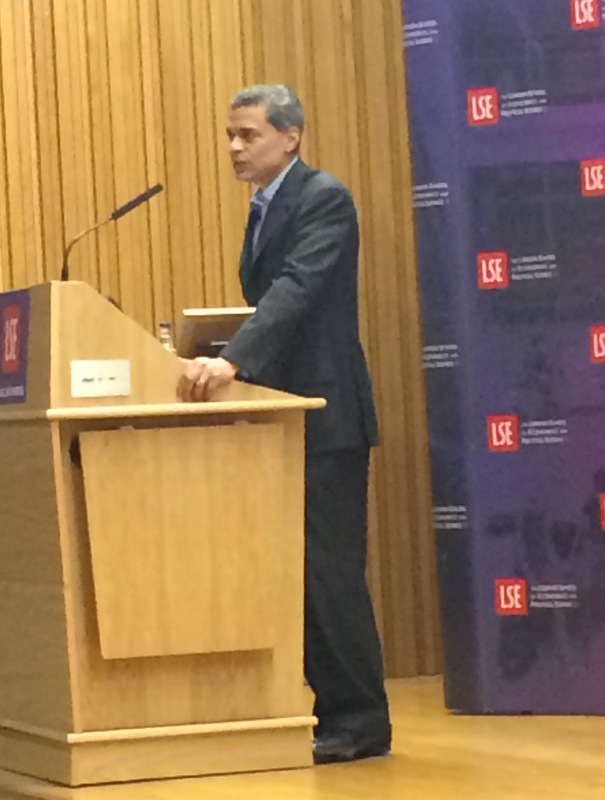 I had the pleasure of attending a talk at the London School of Economics given by the U.S. commentator Fareed Zakaria (18th May 2015). The lecture coincided with the launch of his new book ‘In Defense of a Liberal Education’ which promises to be a stimulating read. Fareed Zakaria asked what it takes for individuals and countries to succeed in today’s world and concluded that a broad liberal arts education up to university level is part of the answer rather than part of the problem. Yet, in the United States the closure of social science and humanities departments or the withdrawal of subsidies for their courses is very much on the political agenda. Private liberal arts colleges remain part of an elite U.S. tradition while publicly funded programmes are increasingly under threat. Gone are the days when working class Californians could afford to study a degree at Berkeley for $300 per year for instance. Zakaria reminded us that the idea of a liberal education ‘pertaining to free people in a free society’ dates back to ancient Greece where Pericles decided that the innovation of a democratic form of government required a similar innovation in education. He also made the point that the study of science has always been central to a liberal arts education. Far from being seen as ‘useful’ or ‘applied’ as it is now, it was regarded only a few hundred years ago as being of no practical value; the rather abstract study of the mysteries of the universe. Clearly, what we consider to be ‘practical’ has changed considerably over time. The issue of defending and advocating a liberal arts education is an urgent one, he argued, because the evidence suggests that this is the best preparation for being innovative; whether in high-level scientific, new patents or business start-ups. The U.S. stresses about its middle ranking in PISA tables but it’s been in a similar position for 50 years; ever since PISA tests started in fact. Despite this, it remains one of the most dynamic and innovative economies, a position it shares with Sweden, another PISA mid-range performer. So it seems that having 15-year olds who are good at solving Maths problems is not the same as being innovative and enterprising. Instead, there seems to be a correlation with characteristics such as a healthy disrespect for hierarchies, irreverence and intellectual ‘disruptiveness’. In any case, innovation and success is not all about new technologies. These need to be combined with new social processes or business practices. Zakaria drew on the success of Singer sowing machines, Apple computers, Facebook and Amazon to exemplify this point. The real innovations seem to come from people who applied sociological, psychological and aesthetic insights in new ways. It is often the clash and collision of different fields and disciplines which leads to progress and creativity and it is often the liberal arts graduates who can see the big picture, integrate several disciplines and understand that in the world, different things are ‘all happening at once’ rather than behaving as if they are stuck in specialist silos. According to Zakaria, the two great forces changing our world are globalization and the information revolution. These forces are not new and we already understand them well. We need to embrace them optimistically and critically but there’s no turning back. In summary, Zakaria made a strong case that young adults in upper secondary and higher education need a broad liberal arts foundation rather than a narrow over-specialised experience to prepare them for the unknowable future. I was inspired by the talk but for me it served to highlight the chasm between this aspiration and most of English education as it is currently organised. How distant the hope of a broad knowledge-based curriculum for all young people still seems. How dominant the instrumentalist case and how much there is still to do. This entry was posted in Education and tagged Critical thinking, Cultural heritage, curriculum, economy, Education, Fareed Zakaria, innovation, liberal education, technology. Bookmark the permalink. Thanks Martin, are these ‘excellent sheep’ related to the electric sheep that androids dream of? Thank you for sharing this. I’ll look out for the recording of the talk.